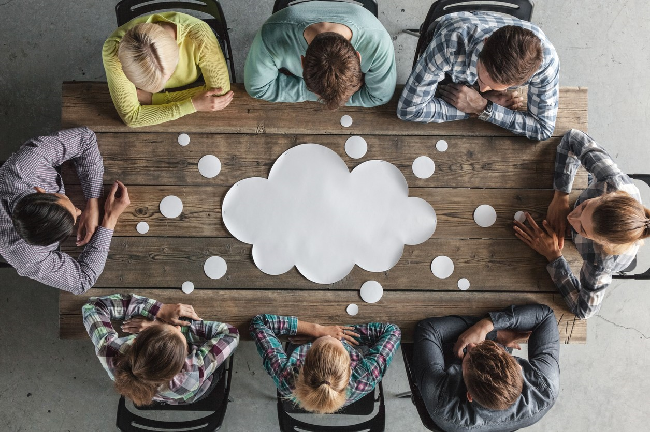 Salesforce Community Cloud, also known as Communities, is often described as an “On Line Social Platform” and “Real-Time Collaboration.” While these buzzwords catch your attention, they don’t give much insight into how Community Cloud actually works or how it can help your business. When used to its full potential, Community Cloud can save your company time and money by allowing customers and partners to act on their own behalves. Salesforce Community Cloud allows you to build a branded website where both your customers and partners can access company information; taking the “middle man” out of the equation by giving direct access to external users and provides easy access to sharing as long as it is stored in the system. It allows employees to communicate with customers and partners through a number of different channels allowing for a quick exchange of information and solutions in various formats. Let’s dive in and discuss some of the things Community Cloud offers and how these can benefit you. Community Cloud provides an easy way for customers to access current products and services and provides a platform where they can place orders on their own behalf. It allows for rapid support and feedback through a number of channels for the most optimal customer service. The functionality lets customers easily create support tickets at any hour and those tickets can be automatically prioritized and routed to agents with applicable qualifications. Community Cloud also allows for live chats with agents, providing immediate answers to important questions. An agent can even have multiple chat windows open with different customers at the same time to increase productivity. Additionally, setting up a knowledge base allows access to a library of articles that enables users to find what they are looking for by using keywords that quickly locate the desired document – product and pricing guides, FAQs, and instructions are just a few examples. Finally, Communities can be accessed by mobile devices increasing the ability for your customers to help themselves. This can save your company time and money and allows your customers quicker resolution! Community Cloud also enables collaboration with your partners for more productive, collaborative selling. Not only can Community Cloud allow partners to work with your internal users, but it also can enable them to communicate with outside sales reps, distributors, and suppliers. Community Cloud puts you in charge. You control how much access you want your partners to have and can provide as much, or as little data, as you deem necessary. Another added benefit is that you can include them in processes that automatically send notifications, as well as Chatter, and you can provide visibility to consolidated data in dashboards and reports to help your partners manage their own activities. You can also use Community Cloud with your own employees to increase engagement, reduce onboarding manual labor and inefficiencies, provide access to internal employee documents, and provide a vehicle for IT helpdesk issues. Your employees can also use Community Cloud to share information with each other and facilitate team collaboration. The use cases are limitless! Implementing Community Cloud can be quite simple if you have the right expertise. With 20 +years of industry experience, Bayforce is confident we can help you customize Salesforce Community Cloud to fit your business objectives. If you would like to understand how Community Cloud can work for your organization, let’s set up a convenient time to speak with one of our Salesforce Certified Community experts.